“Celebrating a milestone like the 10th anniversary of the CAMCOPTER® S-100 with more than 300 units sold is a good moment to reflect on where we are today and where we will go in the future. Today we are the world’s leading producer of unmanned helicopters and we plan on further strengthening our position,” explains Hans Georg Schiebel, owner of the Vienna-based company. 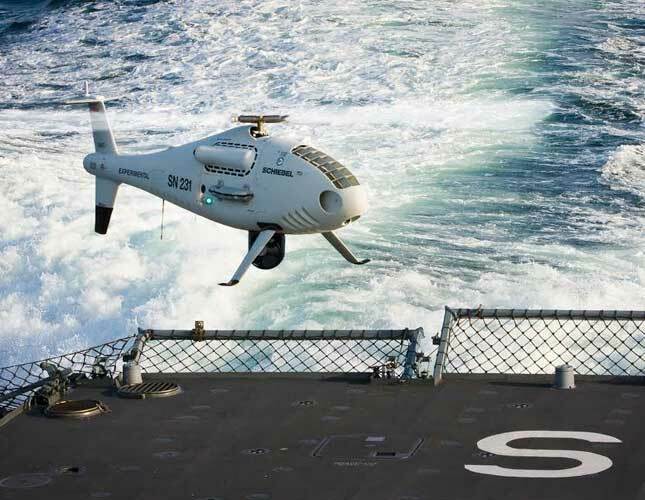 With a track record of supporting maritime customers, the CAMCOPTER® S-100 system has meanwhile been successfully proven on over 30 different vessels on all the world’s oceans, demonstrating its outstanding capabilities day and night, in all weather conditions, a proven track record that is unmatched. It is currently deployed with a number of important naval clients in conventional littoral reconnaissance roles; however, the CAMCOPTER® S-100 has likewise proven to be hugely successful in the Search and Rescue role. Working with the NGO Migrant Offshore Aid Station (MOAS) in the Mediterranean, around 25 000 migrants have been found and rescued since 2014. In 2008, Schiebel completed extensive flight trials onboard the German Navy’s K130 Class Corvettes Braunschweig and Magdeburg in the Baltic Sea. The S-100 completed more than 130 takeoffs and landings in a total flight time of just 20 hours, achieving results well in excess of expectations and trial requirements. Since then - amongst others – several developments have since taken place to enhance the UAS further, especially for naval use with the availability of a new heavy fuel engine. The Diehl Defence corporate division combines the Diehl Group´s business activities in the fields of security and defence as a holding company. Diehl Defence manages numerous subsidiaries, program and affiliated companies. With 2,325 employees, the corporate division generates annual sales of € 460 million Euros.